J todd Coleman has been posting some of this amazing concept art work by Dave Greco over on FaceBook. This one the world of MooShu for Pirate101 is breath taking, you can really see how beautiful Pirate101 is going to be as you sail through the skyways. 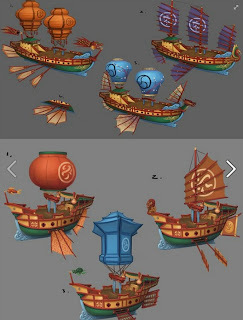 Another concept art work are these fantastic MooShu ships that J Todd Coleman said These ships would be available in Hamamitso, the port city MooShu. 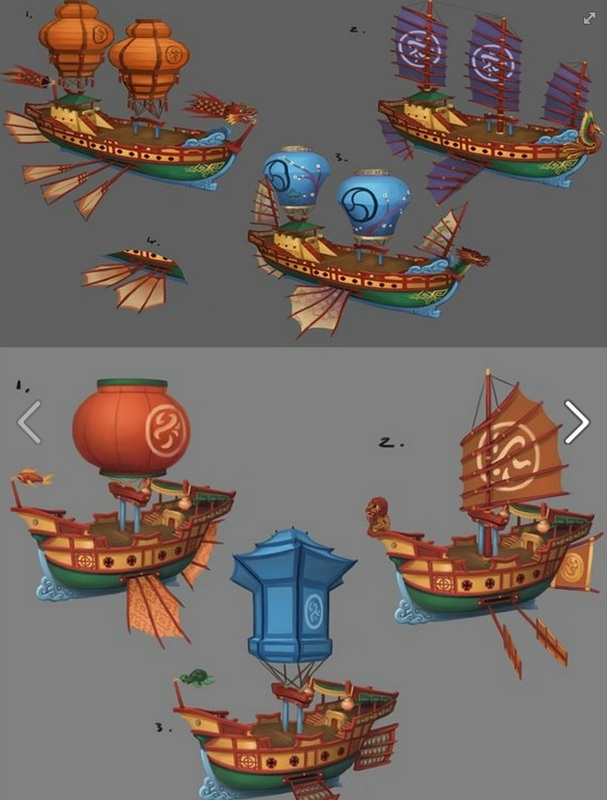 Can you imagine sailing the skyways of MooShu in those ships? I know by just looking at both art works on the same page, I can. Until next time, smooth sailing.